A classified cable published by WikiLeaks adds more fuel to the Russian collusion fire, except it does not implicate collusion between President Trump and the Russian government, but rather between the administration of Barack Hussein and the Russian government, and specifically, Robert Mueller, who, believe it or not, has been charged with investigating President Trump for Russian collusion. Honestly, you simply cannot make this stuff up! 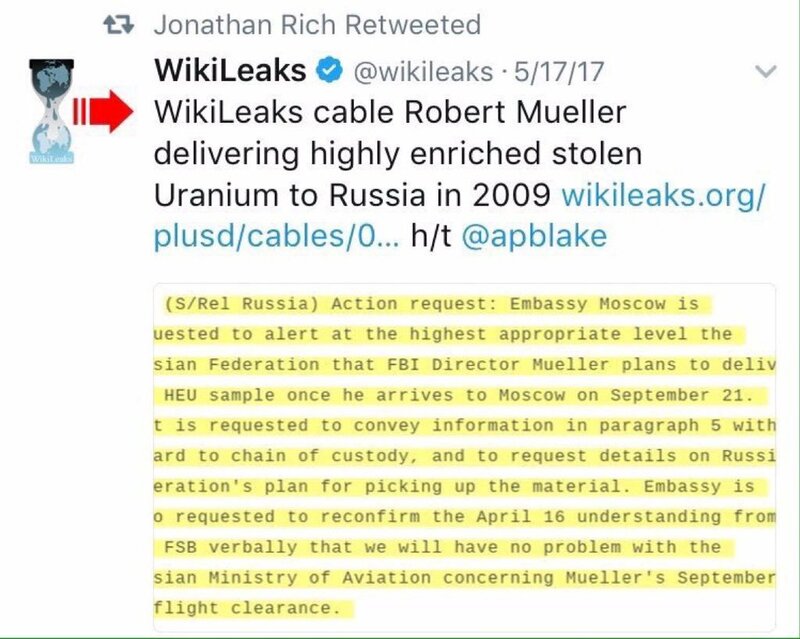 For whatever reason, and I’m sure it had to do with Mueller being such a loyal and trusted Barack Hussein soldier, Mueller was chosen to deliver a 10-gram sample of stolen highly enriched uranium to Russia, and transfer it personally on the tarmac to Russian authorities. Can you imagine the lynch mob that would be chasing President Trump had it been his administration that had done this? Yet, not only was Robert Mueller chosen to make this sensitive delivery (collusion) to the Russians, but he is now charged with finding any scrap of Trump association with any Russian and hang it around President Trump’s neck, to be used by Congress to initiate impeachment proceedings. Mueller must have had a hard time keeping a straight face when asked to accept the appointment as Special Counsel to investigate President Trump for Russian collusion, which so far has turned up NOTHING except the one time in 2013 when private citizen Trump ordered Russian dressing for his salad. 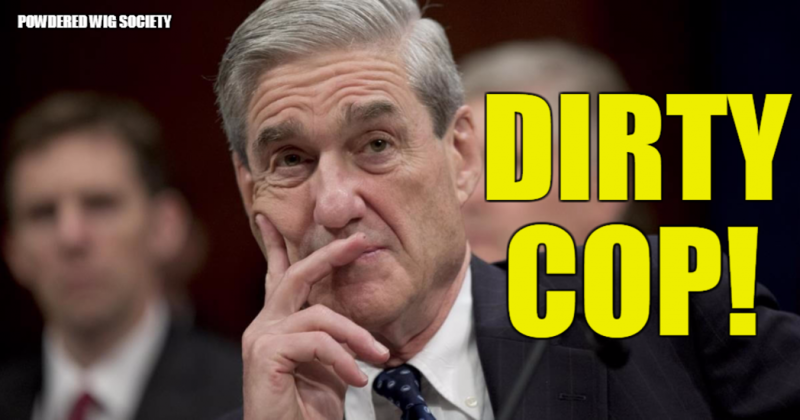 Why are the American people still paying dirty cop Mueller to lead a lynch mob to depose President Trump?